Sure, we all love new things. For example, I haven’t taken off these Soludos platform espadrilles since they came in the mail last week. However, sometimes there is such a thrill in finding new, old things! Richmond has an amazing thrift-ing scene with a bunch of really great vintage finds and I should take advantage of it more than I do, tbh. I have to admit that sometimes I don’t have the patience for shopping of any kind (just ask Cath), which is why I’m guilty of always buying things online, but I always get excited to find a real gem in the corner of a favorite vintage shop. I got this awesome animal plated belt from Blue Bones Vintage a few months back and have recently become re-obsessed with it! 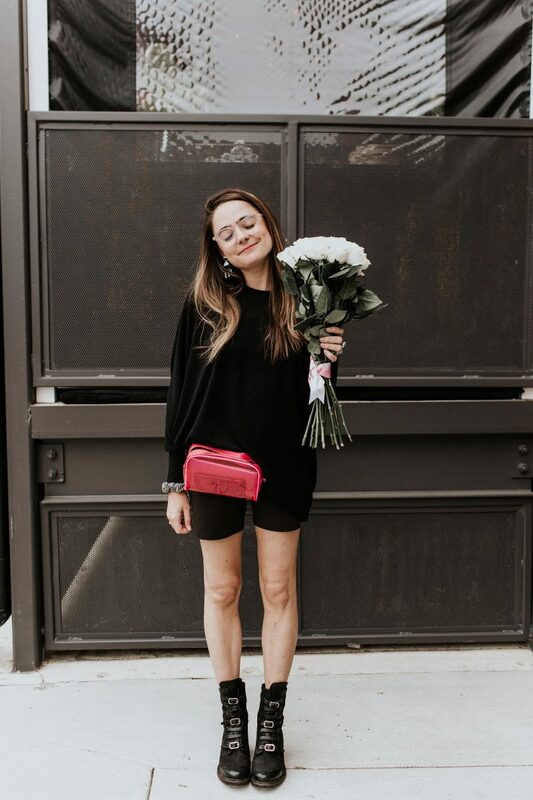 Lauren, who curates Blue Bones, always has such a great collection of items in her store and this is me publicly vowing to go in there more often!